Looking for a place to go or something to do with your Valentine? 17th Place Townhomes has you covered! 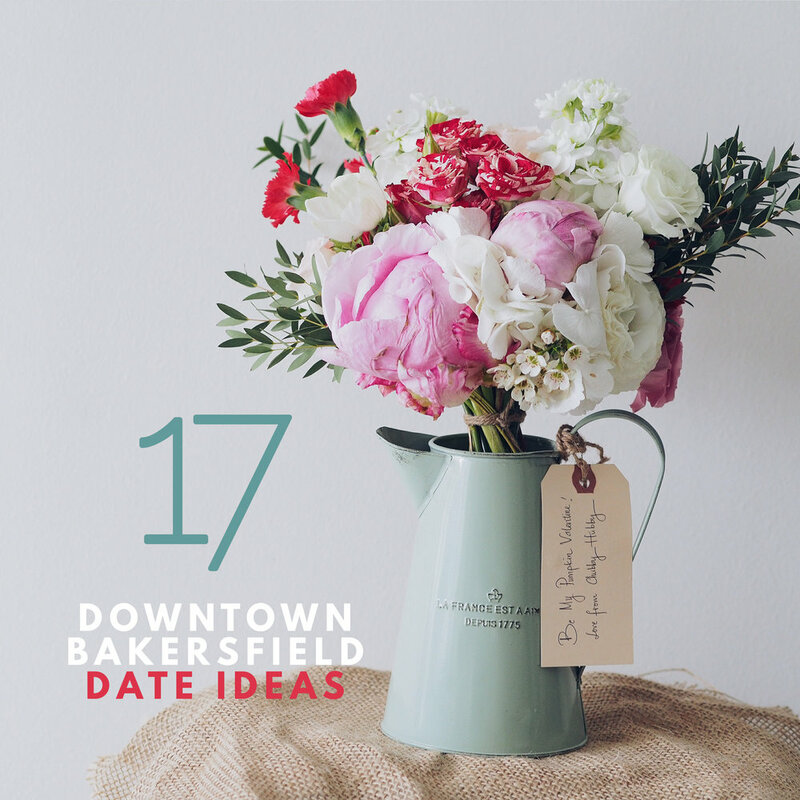 These downtowners have put together a great list of 17 date ideas in downtown Bakersfield to celebrate the month of L.O.V.E. If you’re a biker AND you’re a camper, then this outing was made for you! Bike Bakersfield has combined two outdoor activities for a challenging but fun two-day experience and has tossed in a Valentine-themed reading event. The biking adventure takes off from Beach Park for a 35-mile ride to Wind Wolves Preserves. Bikers will camp overnight at Wind Wolves and return to Beach Park on the 17th. We all love a good story, so how about historical, compelling stories of Bakersfield past? The Arts Council of Kern has put together a walking tour of 13 historical and influential figures of Kern County. The tour begins at the sculpture garden, west of the Mission Bank building on Truxtun Ave. If you stop at Cafe Smitten for breakfast before the tour, you could combine food, art, the outdoors and downtown for a picture-perfect Saturday. What are you doing this month? Got any plans for March?